This enchanting place as well as the team of professionals will lend themselves perfectly to the reception of any type of event. 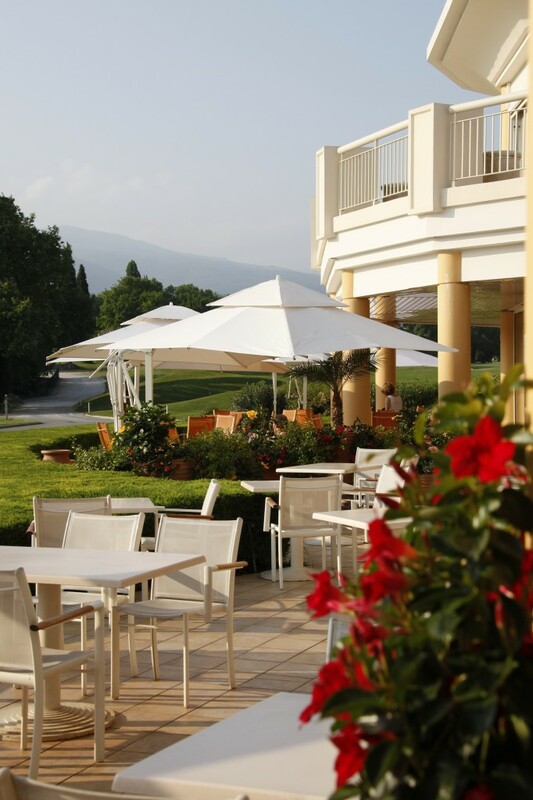 In an exceptional natural setting 20 minutes from Cannes, on more than 20 hectares, with a chapel, a bright and spacious clubhouse and a large terrace overlooking a small lake, the Golf Country Club Saint Donat is an ideal place to organize your marriage. The room of the Restaurant La Closerie, with a capacity of 120 seats, is open to the terrace and the route through large picture windows. A parking lot for 150 cars is available. You can decorate your own tables and chairs and enjoy a stunning natural scenery! Access to the golf course is prohibited for safety reasons. The bar of the clubhouse remain open for golfing clientele to normal closing, unless otherwise agreed. The parking lot of golf is made available without liability. A fee of 30 € for costs of fluids band or disc jockey will be charged. Children under 10 can benefit from a menu at a special rate of € 21 per child. Our list of preferred providers is available. The additional guest will be charged as an aperitif 20 € per person. The rental of dance flooring is 250 €. Any change requested furniture will be charged. Accompanying married for photos on the course by golf cart with the photographer is offered at € 200 for 45 minutes. A corkage fee of € 8 TTC per bottle of champagne or wine provided by you will be asked. The extra bottle of wine will be charged according to the agreement and selected wine. The service includes staff until 2am. – 1st violation: 2 hours at 3am: 100 € + 25 € per hour per hour per server. – 2nd violation: 3 hours to 5 am: 150 € TTC per hour + 45 € per hour and this server. For events of less than 50 people, the restaurant will remain open until 2 in the morning maximum. Any order delivery should always be placed by mail, mail. Any proposal not confirmed by any of these means will be void. The date of confirmation will occur three months before the expected date of delivery accompanied by de’acompte check of 30%. The number of guests must be confirmed 10 days before the date of the event, this number may be changed up to 72 hours before delivery, after this period the number announced will serve as billing basis.